The website of Gold’s Gym Philippines (http://www.goldsgym.com.ph/) was hacked by cyber attackers early Saturday morning. The site remains defaced as of 3AM, Philippine time. The fitness center giant is yet to make any announcement about the incident on their social media accounts as of posting time. 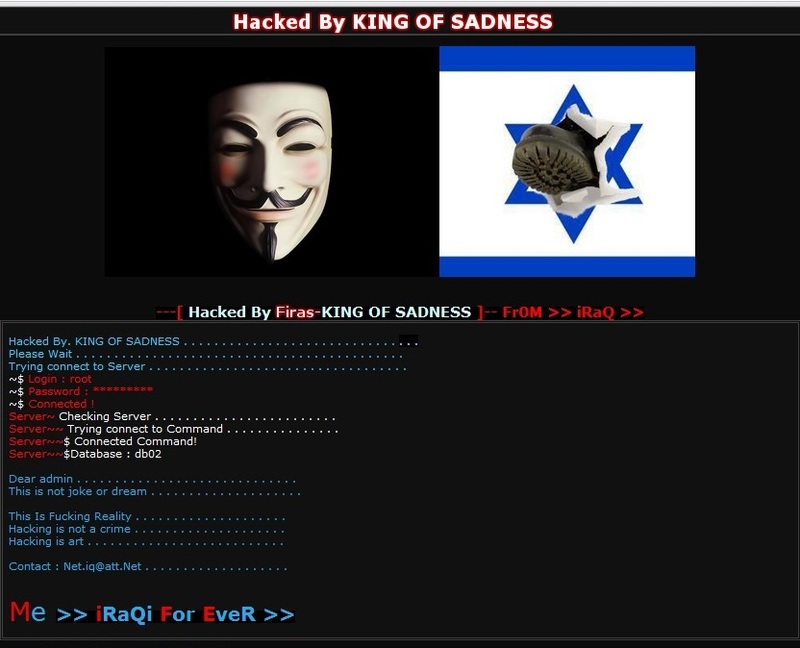 The hacker identified himself as “Firas, King of Sadness,” purportedly from Iraq. A rock hymn serves as the background music. A message saying there’s an “error establishing a database connection” can be seen when one tries to visit other pages of the website through search engines. The “King of Sadness” added: “Hacking is not a crime… Hacking is art…” The hacker also indicated that he can be contacted through the email address Net.iq@att.Net. “(I am) iRaQi For EveR,” he declared. This entry was posted on Saturday, June 8th, 2013 at 3:07 am	and tagged with firas hacker, Gold's Gym, gold's gym philippines hacked, gold's gym philippines website, hacking in the philippines, iraqi website hackers, king of sadness hacker, websites hacked philippines and posted in hodgepodge, philippines. You can follow any responses to this entry through the RSS 2.0 feed. Their biiling company has been hacked and thousands has been withdrawn from members account!!!!!! !